Africa today has among the highest rates of urbanization on the planet. 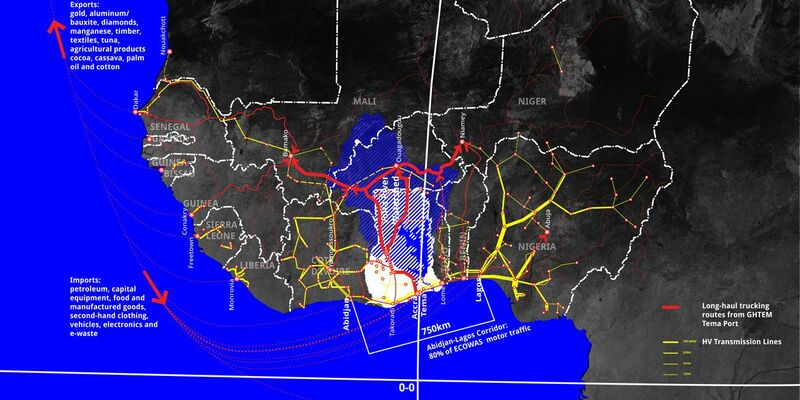 In the twin cities Accra and Tema, the human settlement closest to the earth's geographic origin 0-0, this urban growth puts pressure on networks of electricity, transportation and ecology. Tema is a new town built from scratch for 250,000 people. Sixty years later, the population is 2-4X that size, and coupled with Accra reaches several million. The construction industry in Ghana is part of the informal sector—mobile or semi-legal kiosks and containers that retrofit automobiles and electronics, fabricate furniture, building materials, dresses, hairstyles, food...and which sell mobile phone credits on every street corner—the basic unit of information in Africa. Official policy is to excise the cancer of the informal from the city. But micro-enterprises not only provide jobs; they are also where—out of necessity—improvisation is automatic. These are sites of innovation. 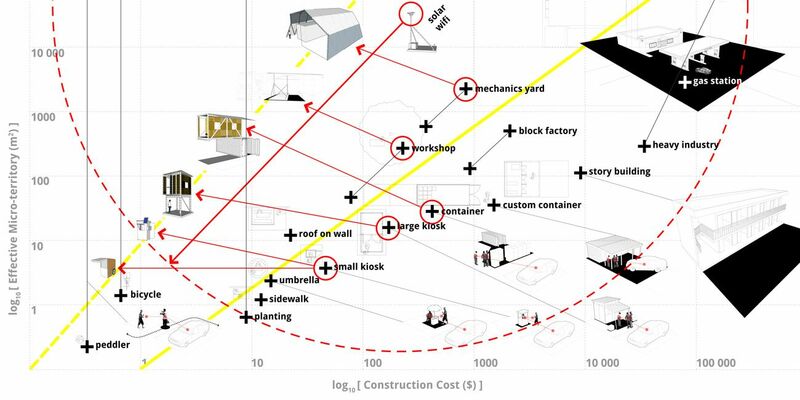 Meanwhile innovation has stalled in Ghana's building industry over the past forty years—a period during which innovation was forced from the top down; that failed. This project inverts that model. The informal sector is already innovating: accessible information is the catalyst for accelerating that innovation. This is social design R&D, and it has to be from the bottom-up. One example is bamboo lifecycling. Grow bamboo on undeveloped land in the city, use it to self-build bigger and higher-performance micro-architecture that approach zero cost, and burn as cooking fuel when the buildings expire. This means money typically spent on construction can be used instead on things like solar panels or shared wifi. Bottom-up means using tactics of the informal... like planting bamboo on land we don't own, and prototyping not in isolation but with people who work in the informal sector. The paradox is that—economically—cities provide jobs but—ecologically— construction of the city is proportional to destruction of nature. The limiting constraint in many African urban ecologies may now no longer be capital, but rather access to information: How to simultaneously expand economic and ecological densities, sustainably?